I think this would’ve been really good as a short story. It had a few clever little bits here and there, it definitely had some psychologically disturbed characters, and it had a little grisliness. However, it also had a lot of extraneous detail (I decided to just skim a few pages in each chapter, didn’t miss much) and some plot points that made me go “hmmmm” — and not in a good way. Anyway, this is an okay book, fairly entertaining, and somewhat of a psychological thriller… but again, might be best if born again as a short story. Oh the drama! 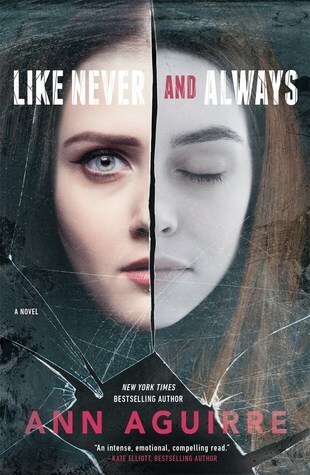 Quinn and Nora are distant sisters who would still do anything for each other. Tiffany is Nora’s bff… and a messed up drug addict with an illegitimate daughter. When Nora texts Quinn that she and Tiffany need her help, Quinn steps up. But it’s hard to know how to do the right thing when Nora won’t give her any details, and Tiffany is nowhere to be found. I was psyched reading the first half of this book – there are good guys and bad guys, weak women and strong women, loving yet dysfunctional mothers, and a criminal so disgusting he turned my stomach. Baart weaves them all together in a dramatic and suspenseful plot, a story you don’t want to stop reading because you can’t believe what’s happening next. And then — I’m not sure if it was my particular frame of mind, or if I’ve just read way too many books — I by mistake figured out the one big unknown. The mystery. The root of the drama. The guy who caused the secrets to grow bigger and bigger. And I hate that I figured it out, because it ruined the rest of the story for me. I skimmed the last half of the book, just in case there were some worthy plot points (and there were). Baart is a master at expressing the love and confusion and envy and all the emotions in a sisterly relationship. What I appreciated most is that Baart lets her female characters be unapologetically themselves. There are no victims here, except maybe a little girl. The grown women own their choices, support each other, and make their own new beginnings.